Hi Everyone! Welcome to my Holiday Home Tour. I have been sharing all sorts of fun Christmas decor over the past few weeks, so I thought I would put it all in one place. Come on in! Next stop, my North Pole pack your Christmas tree in your suitcase entry way. Swing on thru to the family room and our tree. 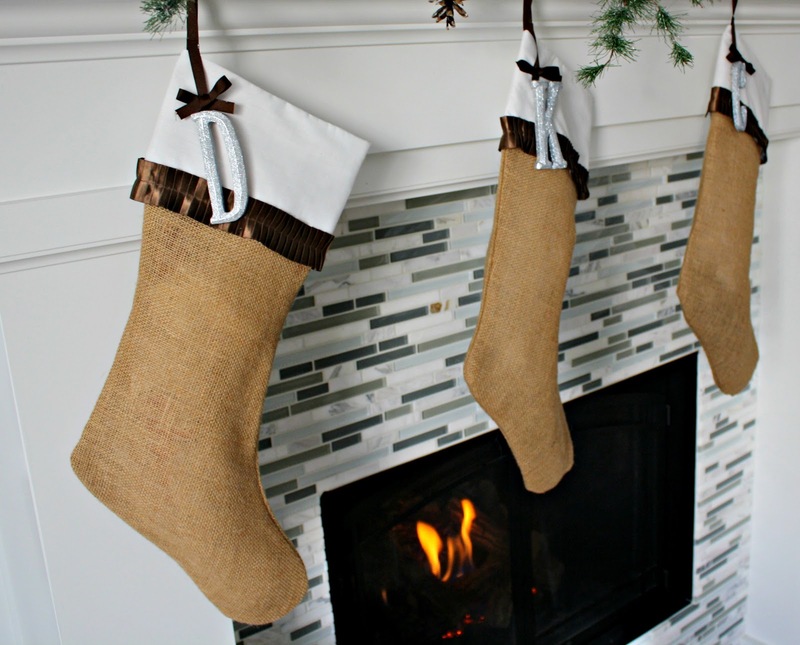 Don’t forget the fireplace mantel. My jingle bell centerpiece in the dining area. Oh and my favorite project – my Christmas Chalkboard. I love your blog! Your home is simply beautiful. Merry Christmas! Every single room is gorgeous!! I still can’t get over the amazing artwork on the fireplace mantel! I loved the tour– your home looks wonderful! I look forward to coming back for a visit!! Sigh… going back for a second look. So pretty…. Gorgeous, gorgeous, gorgeous!! LOVE it all. 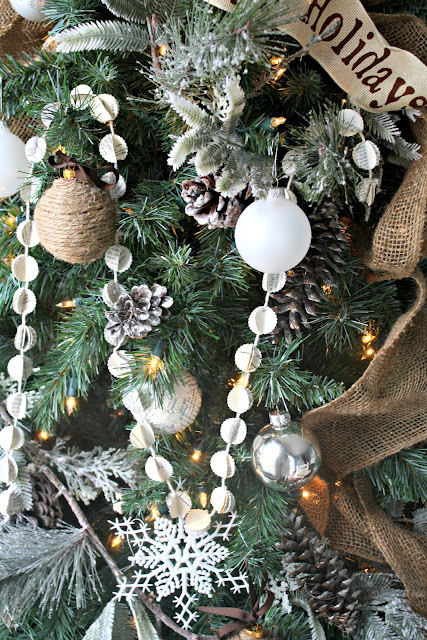 I’m loving it all especially the tree! Ohhh my how absolutely magical!!! :D LOVE this! Absolutely lovely Kelly! Belongs in a magazine.. I laughed out loud when i read your comment about your husband complaining about the pinecones!! Too funny! Your house looks amazing! And that lake view… WOW, you are truly blessed with a beautiful home! Beautiful decorations in a beautiful home, and I love your chalkboard! I painted some chalkboards this week (gifts and for me) and am having a hard time waiting the 4 days it says to wait before conditioning them and writing…. Yours must have taken a long time, but what a wonderful verse. wow, it’s all beautiful! i love the dining table, and love those hoops and the chalkboard and SO MUCH! Your home is absolutely gorgeous! I’m so glad I recently found your blog – it’s amazing! I love it all! I could move right in for the holidays I do believe! 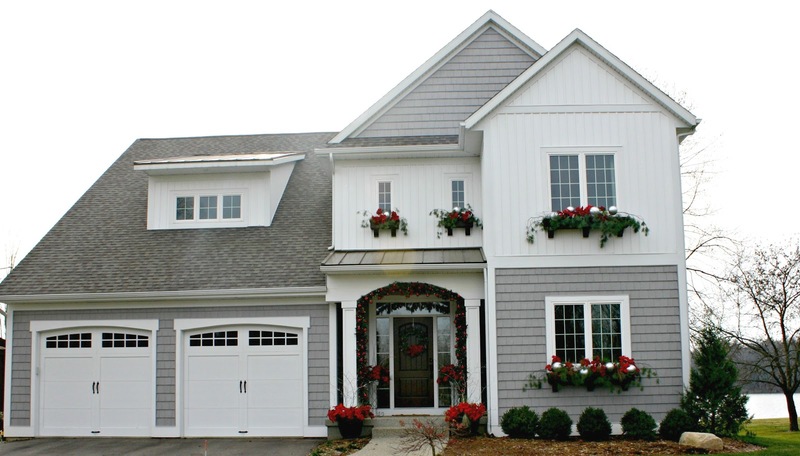 Your house is adorable, and love being with you on your holiday tour. I’m in a hoop craze and am so loving your lovely hoops. 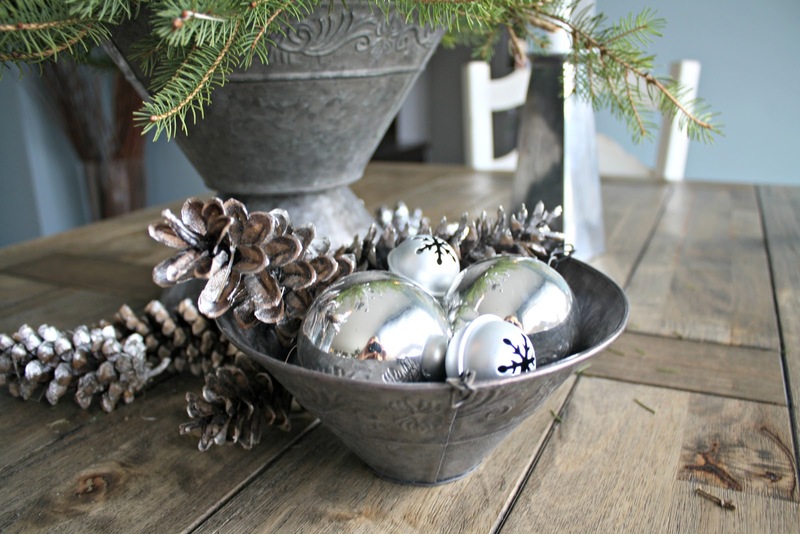 I laughed when you hubs said he wasn’t happy about the pine cones being by his bowl, I could so hear my hubs saying that. Love your home!!! Thanks for letting me know you like my front porch! PS – forgot to tell you following on Facebook! 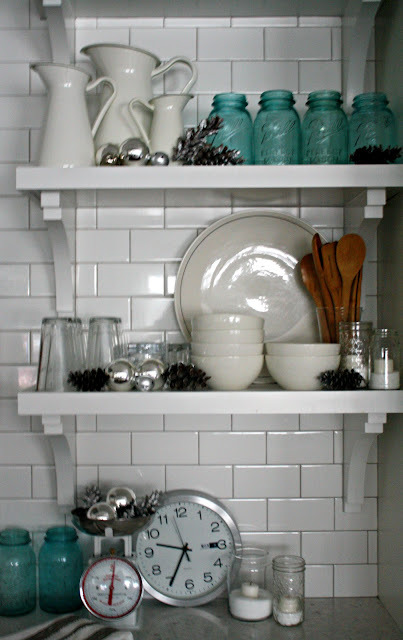 I am so inspired by what you’ve done in your home! Many wonderful ideas. Gorgeous inside and out! 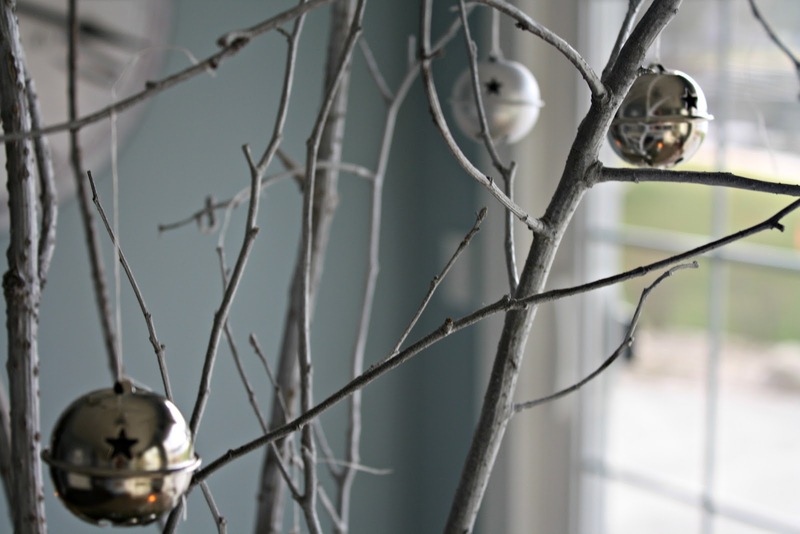 I love your Christmas decor. 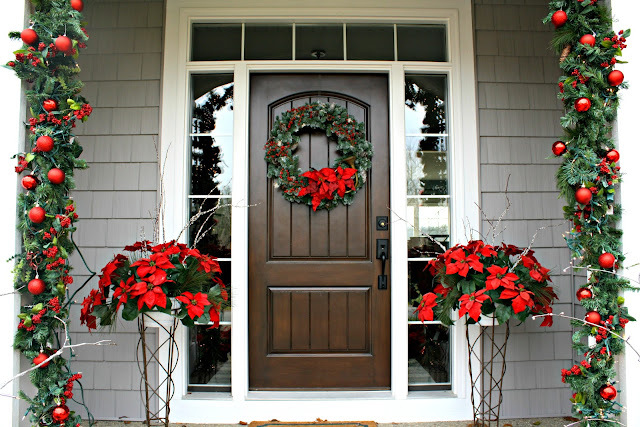 Your home is beautifully decked out for Christmas. I love it all! 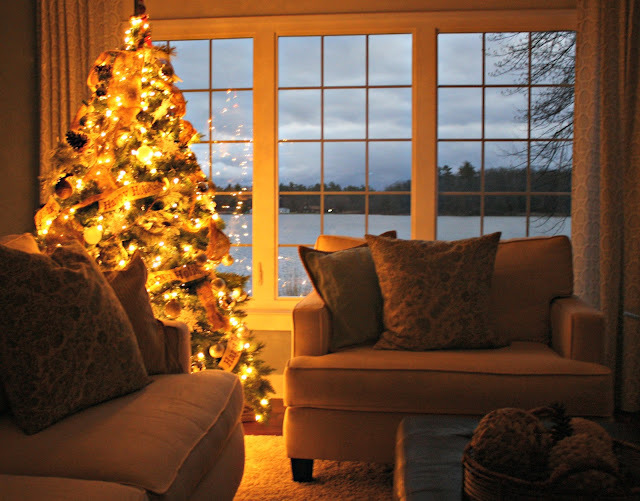 And the lake outside your window is fabulous! 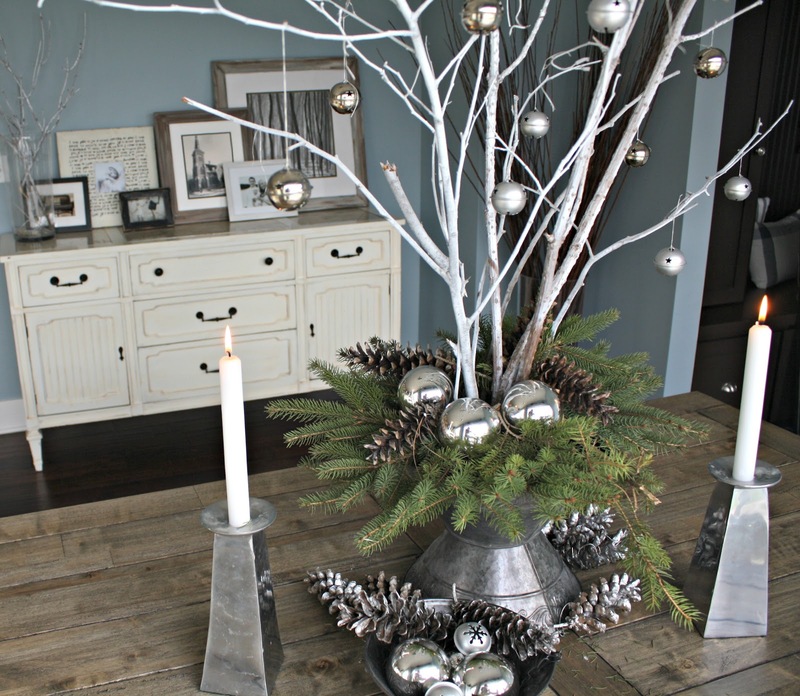 What beautiful holiday inspiration! I love how you used your collection of crochet hoops as a wall display. 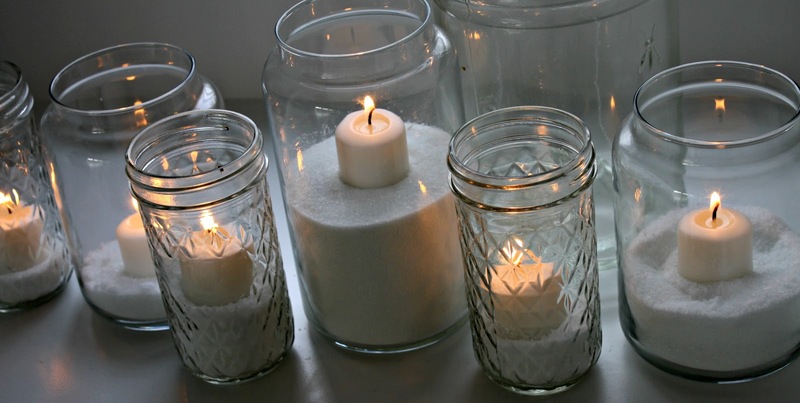 You’ve also inspired me to start collecting different sized glass jars for candles next year. It’s such a pretty way to create a lit display and bring warmth into a room. Thanks for sharing. Kelly, I’ve seen you comment on my blog before, but I had never been to yours….I’d been missing out! Your place is fantastic! I’m loving all of it! Incredible job. I’m not a huge “pinner”, but I’m pinning away! It’s all so beautiful! 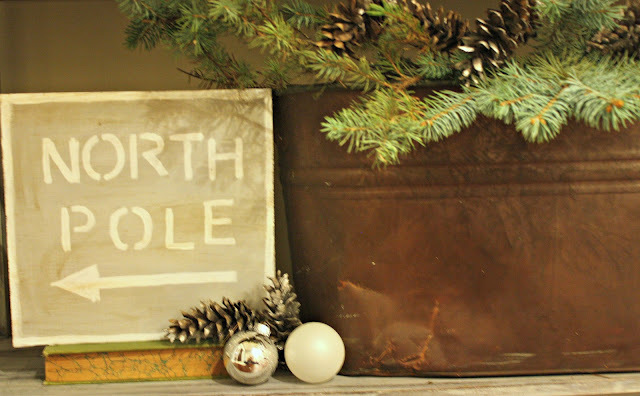 I LOVE the big sign above your mantel, and the chalkboard art is simply fabulous! Everything you’ve done in your home is exceptional, what talent you have for making your home so welcoming and cheerful. There’s not one thing you’ve done I didn’t love, who wouldn’t? I’m a new subscriber, came over from a special walk. Merry Christmas to your and yours. Look forward to seeing what you do from now on. If it’s anything like what you’ve done for Christmas I know I’ll be a long time subscriber. Your home is beautiful! Your chalkboard sign and pallet sign are both stunning. 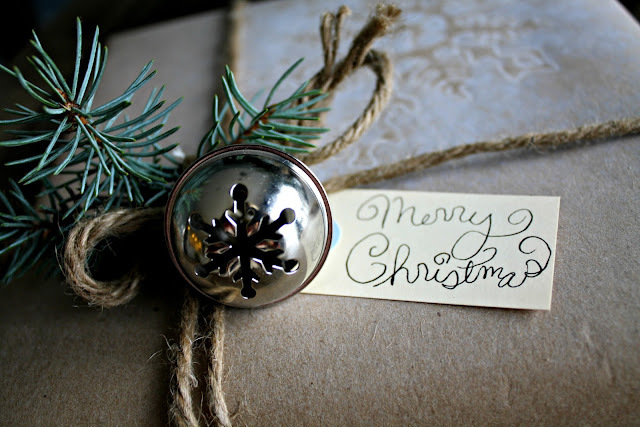 You have amazing handwriting…that is truly a gift! What a beautiful home! Great job. 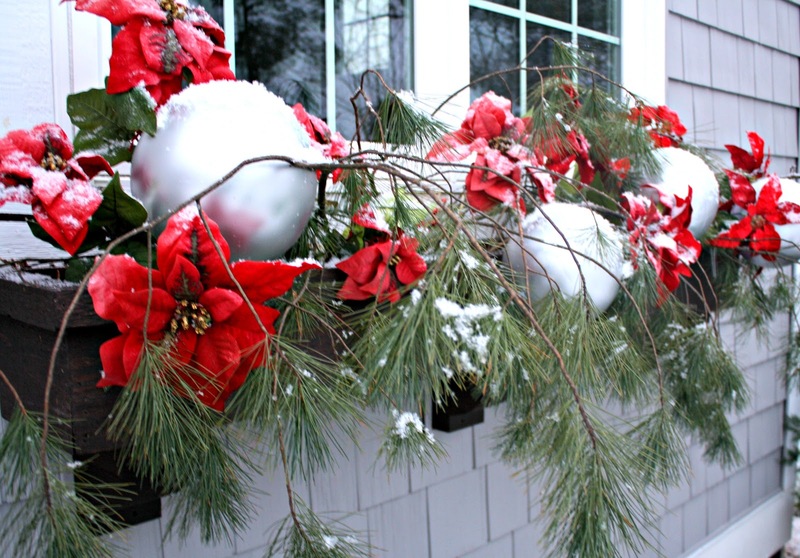 What a beautiful home, you’ve done a lovely job – happy holidays! 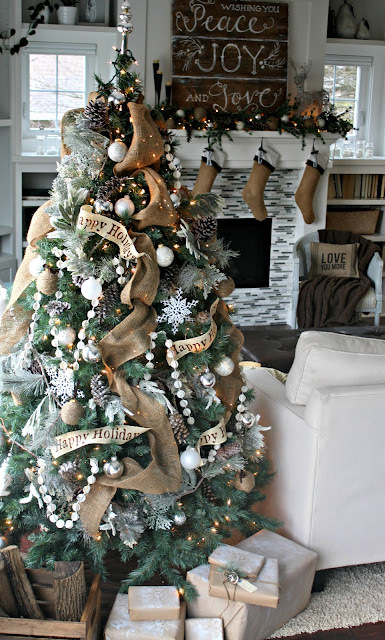 I saw your living room featured on Hometalk’s FB page and didn’t even realize it was yours! Kelly, you have some real talent; everything is just beautiful. 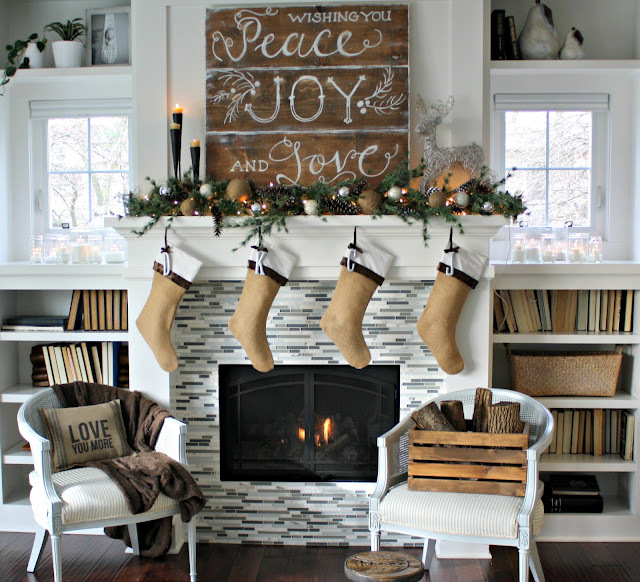 I think the sign over the mantel is my favorite. 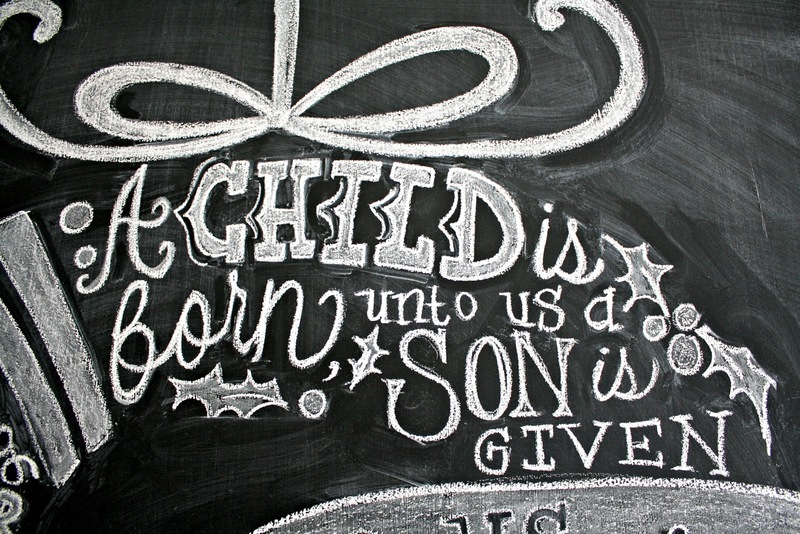 I love the bible quote on chalkboard! What a great reminder of what Christmas is all about! Love, love, love your home! Beautiful! Kelly, You’ve got a gift! What a wonderfully decorated home! But not so fru-fru that your guests can’t just kick up their heels and relax! I love the jingle bells with snowflakes. Where did you find those? 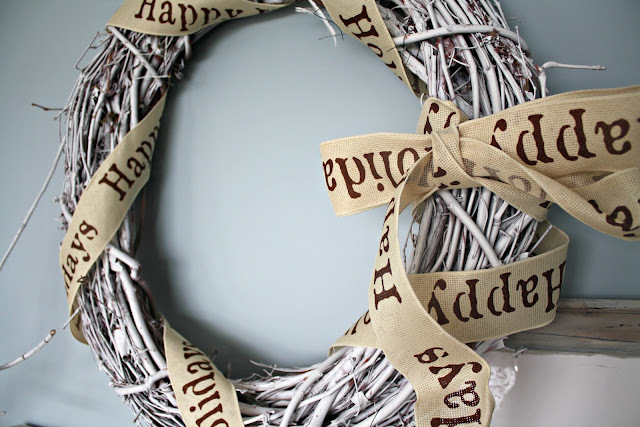 I pinned your chalkboard last week and just found your entry way on Pinterest just now – not realizing it was from the same wonderful blog!! Very nice. love your work! Thank you for sharing your beautiful home and holiday decor!!! What a beautiful home! I wish I could stay for a holiday in that house. Have you got Holiday Letting Agencies to look at that? It’s so beautiful I bet it’s rent would cost a lot. So glad I discovered your blog today! 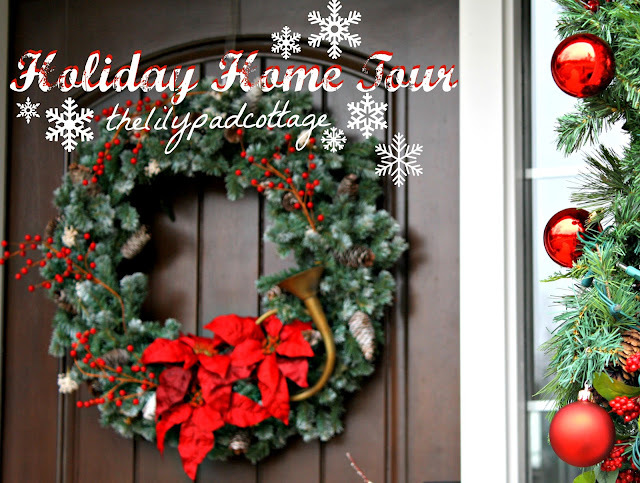 I took the whole home tour and Christmas tour. 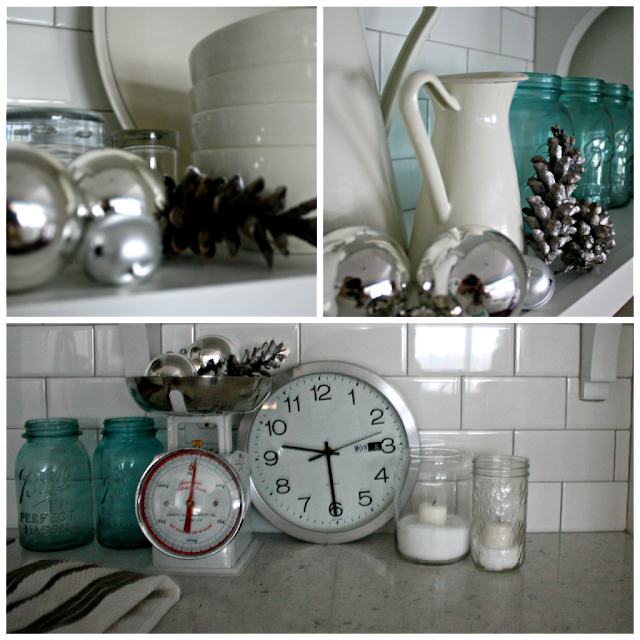 You and I have VERY similar decorating styles so it’s great to see some fresh inspiration! Beautiful home, love your view! I also shared on my FB page. So cozy, so peaceful, so beautiful. You are a very talented lady! Congrats on being a finalist for next year’s house tour! It’s well deserved! Lovely home tour found you on Jennifer Rizzo’s…congrats of the feature! 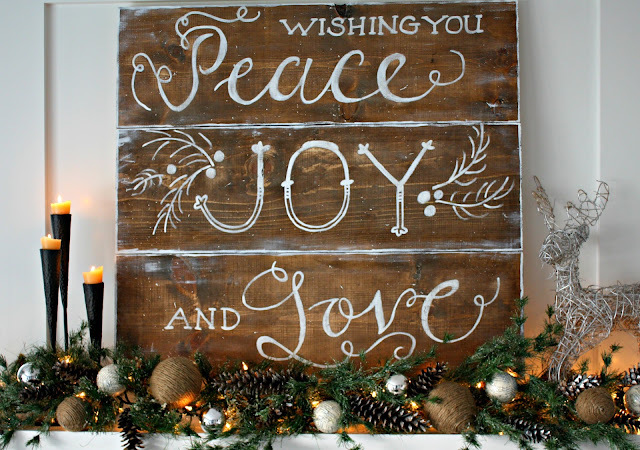 Your Peace, Joy, Love board is my favorite….now following you on pinterest and FB. Hope you’ll have a moment to stop by my blog, would love you to follow if you’d like…have a great night! Wow I’m am in love with the outside and entry way!! I tried following the bouncy balls link and it said I didn’t have permission! Hey Kate! I got my tech guy on it and it is all fixed, sorry about the trouble and thanks so much for giving me the heads up that it wasn’t working! 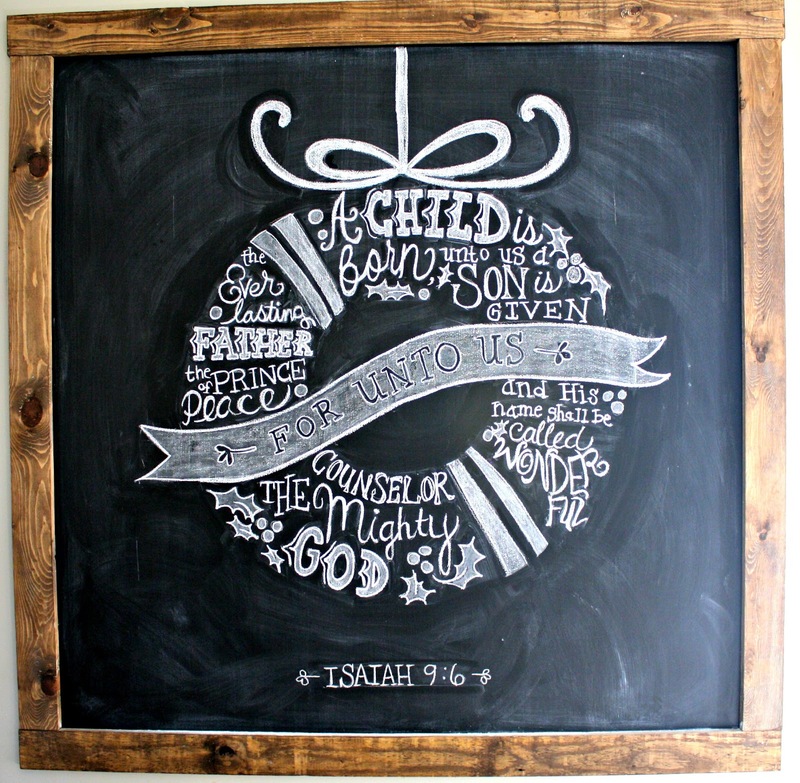 Love the chalkboard! 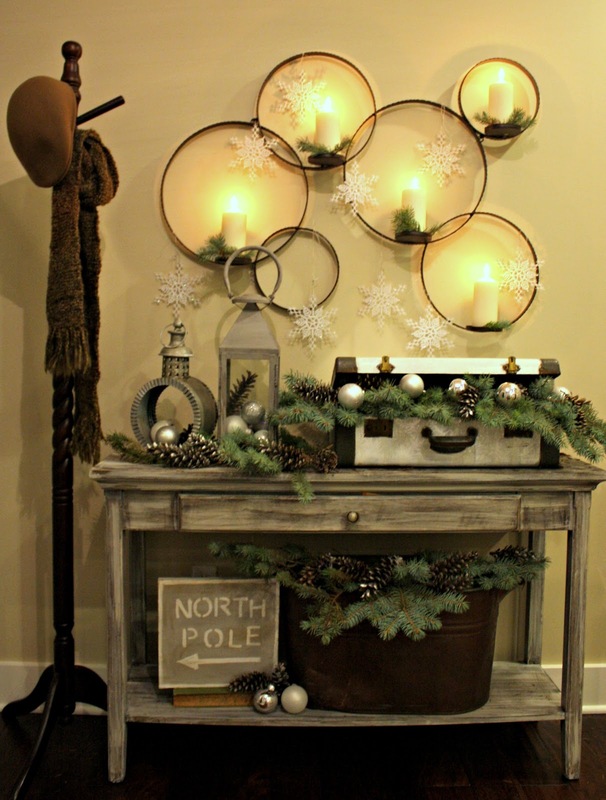 Tell me about the round candle holders in your entry….love them! 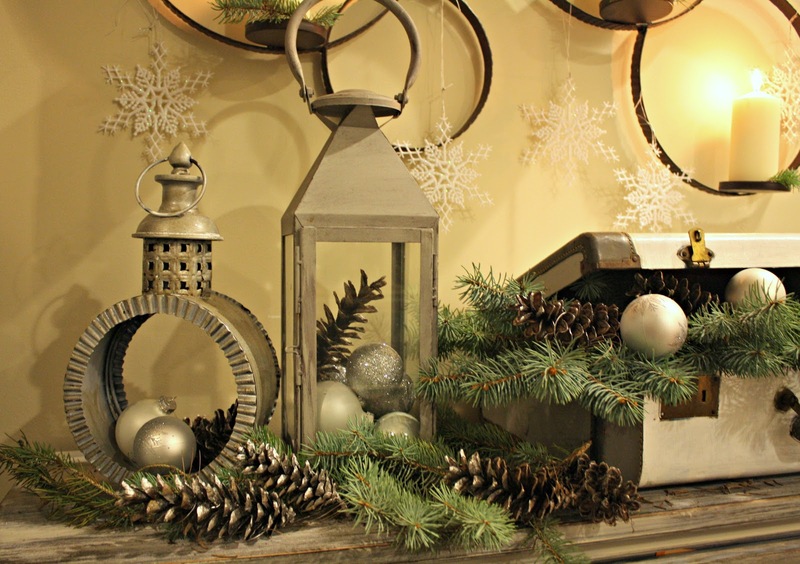 Hey Rachel, I found that candle holder at HomeGoods a few years back but I know Pottery Barn has one similar too! Your home is stunning! Do you ever sell any of your creations…chalkboards, Christmas sign, etc. ?